This is the seventh installment in our new series on Random Acts of Kindness. Each week a different blogger shares about a day that they and their little ones dedicated to committing random acts of kindness. 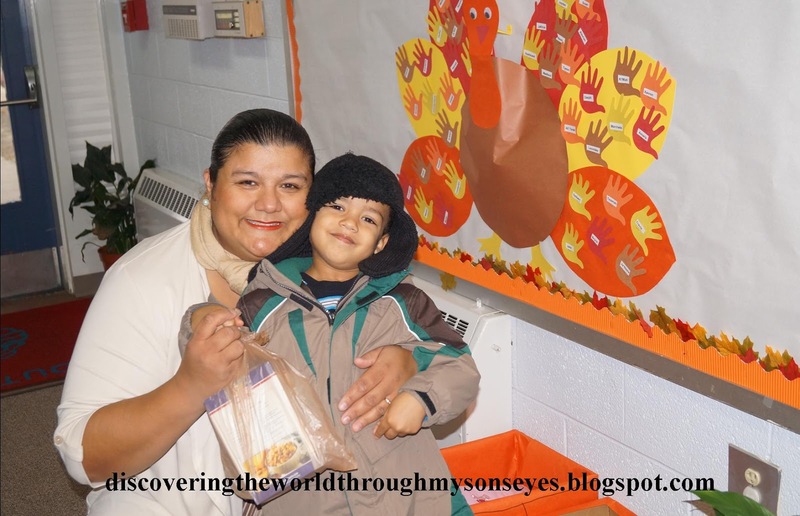 This week’s post comes to us from Discovering the World Through My Son’s Eyes, who shares about her Random Acts of Kindness Day in the US. Visit the main Random Acts of Kindness Challenge page for a full schedule of the posts in this series. The challenge was to commit random acts of kindness during a day with your children. After I literally jumped “head first” into this challenge, I realized that I work full-time and blog part-time; so when was I going to have time to do this? Since the weekdays were challenging therefore, I decided to focus on random days for our acts of kindness during the weekends. This year little one’s preschool is participating in a food, sock and coat drive. During the weekend at home we went through his closet to pick out gently used coats to donate, then I had him go through our pantry picking out canned goods. As for the socks, I had a few that I bought over the summer on clearance and was saving them for a special occasion. I explained to him that all of these items were going to local families that were in need of food, socks, and coats. I would normally do this when little one is away, but this time we sat down and discussed how happy another child will be with a toy that he can give away. I explained to him that the toys that he picked out were going to the children’s hospital. He was quite cooperative, and picked out toys he wanted to give out. We dropped them off at the hospital. During Thanksgiving we met up with my sister and her family. She lives far away, and this was a special occasion. It was a great opportunity for my son to give flowers to his Titi (Auntie Gladys) to express love and gratitude. Showing him that a simple gift of flowers can make her day even more special. Our mail carrier is a wonderful lady and very helpful when it comes to delivering our mail. We left a chocolate bar with a note: “Thank you, Ms. K for all you do!” and a little ribbon on it in our mail box. I had little one place it in our mail box himself and I explained to him that it was a gift for our “mail lady.” The chocolate bar will surely put a smile on her face! 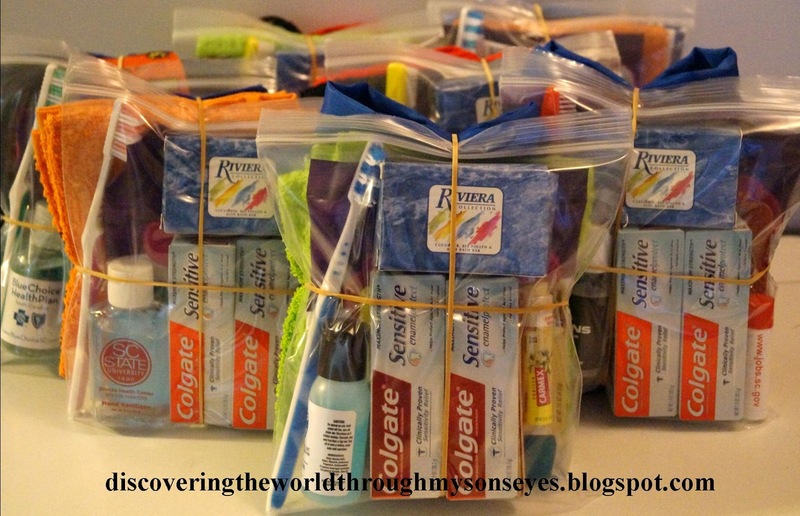 We put together care packages with personal care items for the homeless. We called a shelter in our local town, and sadly enough they will not accept personal care items. I’m confident that we will find a place to donate them. We packed shoe boxes as a family for Operation Christmas Child. Little one actively participated in packing 2 shoe boxes himself by picking out the gifts and items that were going in the box. The other 13 shoe boxes I had been packing throughout the year. We dropped the shoe boxes at the drop-off location, and the nice ladies there reinforced to little one this act of kindness of packing shoe boxes for children less fortunate. 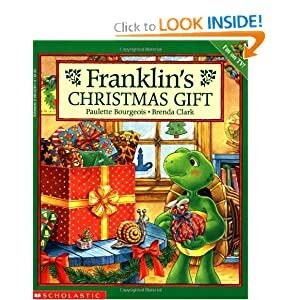 As a reinforcement to our random acts of kindness I read Franklin’s Christmas Book which has helped little one to better understand the act of selfless giving, and kindness. In the story, Franklin needs to pick out one of his best toys for the toy drive at school, but he struggles with what to give away. In the end, he gives up his most precious toy. It’s a true blessing to be able to teach our child the gift of giving, compassion and love by committing an act of kindness. Raising a benevolent and kind child begins at home with us setting an example. 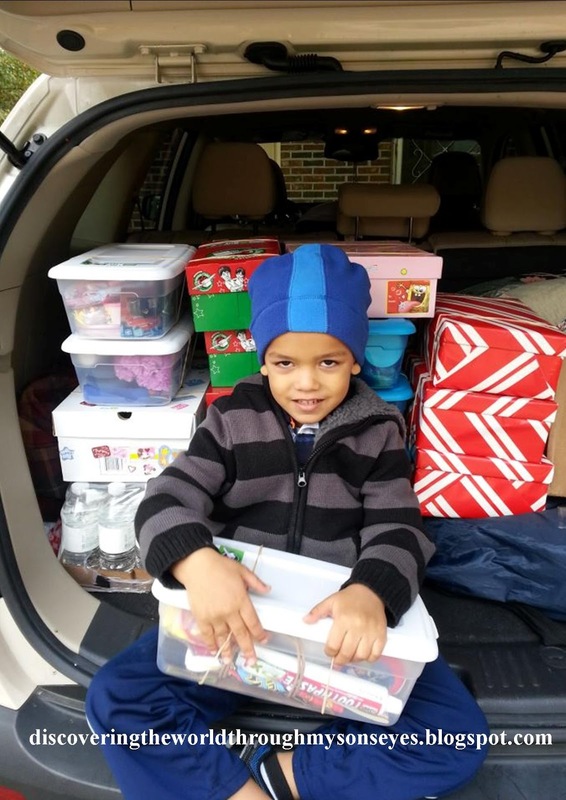 He’s only 4 years old, and thoroughly understood everything we were doing to bring a little bit of happiness to others with our act of kindness. I hope you have enjoyed this installment of All Done Monkey’s Random Act of Kindness Series! 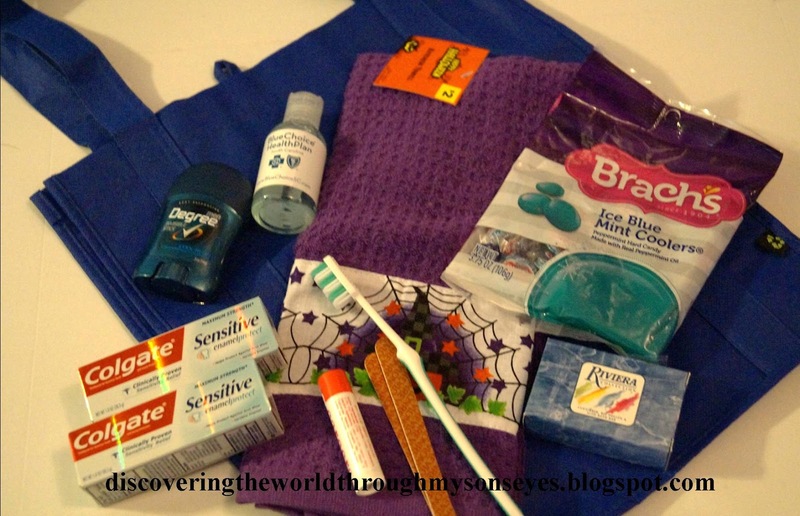 Frances is a part-time blogger, mommy and wife of a beautiful multicultural familia. She has a Bachelor’s Degree in Business Administration with a certification in Human Resources. 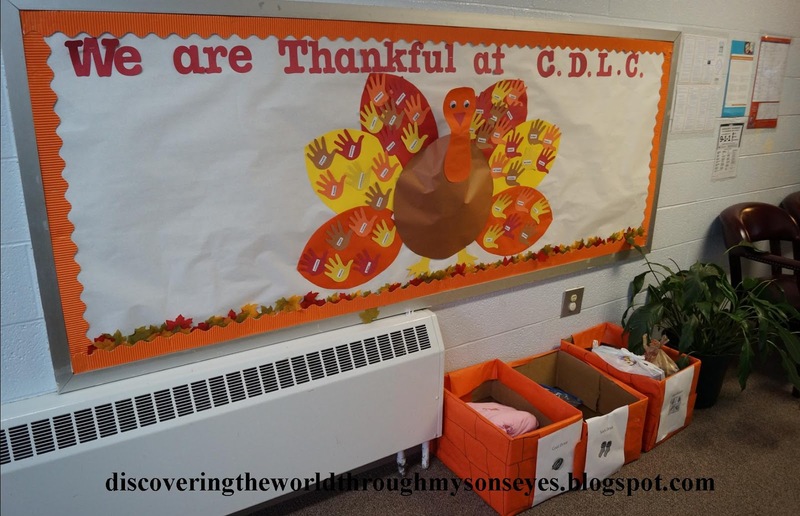 She blogs about discovering the world through her son’s eyes through everyday events, crafts, books, and travel as she teaches her son how culturally diverse our world is. Watch for a post this Thursday from Little Artists! You can see a full schedule of the posts in this series by visiting the main Random Acts of Kindness Challenge page. Again, gracias for allowing me to participate!!! Thank you for such a great post! You and your little one spread a lot of joy! This was beautiful Frances. So sweet that your little one got so into it and I love that you reinforced it with a book. I’ll have to look for that one. This is so sweet! I’m sure this inspired lots of smiles. Love it!